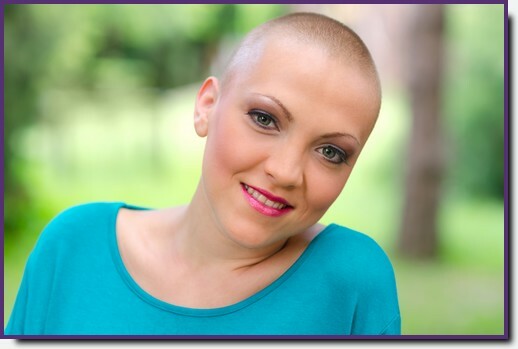 Cancer Touch Therapy is a wonderfully relaxing spa-style body and/or facial treatment for anyone living with, undergoing treatment for and recovering from cancer. Not only do cancer patients benefit immensely from massage and touch therapy, so do elderly or pregnant clients, people on anti-inflammatory medication or those who bruise easily. A safe, effective, nurturing massage for anyone who is currently receiving treatment for cancer, or has done so in the past. Using the Hydrotherm* 3 dimensional massage system, the client lies upon cushions of warm water to receive their massage. The effect is almost instant as the warm water supports and cocoons the body into relaxation. Anyone wishing to experience the Tranquil Sea massage should first get in touch to arrange their detailed consultation with me, so that the desired treatment can be discussed and agreed, adapted where appropriate according to any specific needs. Please allow around 30 minutes for your consultation. Not only do cancer patients benefit from massage and touch therapy, so do elderly or pregnant clients, people on anti-inflammatory medication or those who bruise easily. Price from £25. Additional mileage charge may apply for home visits. Please use the contact page of this website to get in touch for more information. Please leave your phone number and postcode, and a let me know when the best time to get back to you. The Hydrotherm Tranquil Sea Massage for people living with cancer was developed by John Holman Therapy Solutions in conjunction with Penny Brohn Cancer Care and the Amethyst Trust. Most of us have had our lives touched by cancer in some way. If we ourselves have not had our world turned upside down by the shock of a cancer diagnosis, then it most certainly will have affected the lives of many people around us; loved ones, family, friends, colleagues. As medical science progresses, more is learnt about different ways to combat cancer, with treatments including surgery, radiotherapy and drug treatments (such as chemotherapy, hormone therapy or targeted cancer drugs). With more sophisticated technology, we see earlier diagnosis too. According to Cancer Research UK, survival rates have doubled in the last 40 years. And that's good news. In more recent years, Lifestyle Medicine has come more and more to the fore as we seek to identify unhealthy lifestyle habits and empower conscious, healthy living. The newest research in lifestyle and integrative medicine show that nutrition, stress, emotions and beliefs all affect our health. Significant lifestyle changes can even prevent, and in some cases reverse, chronic illnesses, particularly blood pressure, heart disease, diabetes, obesity etc. A whole person, integrative approach to prevention and recovery just makes sense; it provides the individual with more options to explore, creating more choices, and subsequently is more empowering. Many of my friends on their cancer journey would be among the first to endorse many of the above aspects, and drawing on their personal experiences and my own research, I'd like to use this page to share with you some key messages that I believe you will find helpful for "empowered patients, thrivers and survivors" (I love that description by Kris Carr, Healing Cancer World Summit). A very lovely friend of mine once said to me, "I want not just to Live, but to Thrive!" Let's all do that. Knowing how to take care of ourselves is a huge part of it. One of the first things I learnt in my therapist training was how to conduct formal consultation with a client before a treatment. That is, a fact-finding session on why the client has come to you, what they expect from a treatment, and their medical history. We want to know their medical history because there are a number of physical conditions that are considered "contra-indicated" for massage i.e. might restrict the way a treatment is performed, or totally prevent it. Cancer is one of those conditions. If someone had cancer, they couldn't have a massage. And that's how we were taught back then. It wasn't fully explained why but we assumed it was because they thought massage might spread cancer, and the insurers simply wouldn't cover it. If the client got a letter from their doctor saying it was ok, then that might be a different matter. But we weren't trained in massage for people with cancer. Even if they had a doctors note.Confusing. And all a bit taboo. I would really encourage any therapists reading this to ask themselves how they feel about this topic, and consider undertaking additional training and introducing a cancer-care aspect into their own practices. It's a wonderful thing to be able to offer and from my own experience, deeply rewarding. I would also recommend the book "Medicine Hands" by Gayle MacDonald MS LMT. It endorses the importance of touch for cancer patients, and teaches bodywork practitioners, oncology professionals, patients and family how massage can safely support patients as they receive treatment and during their recovery process. I continue to find it a valuable resource and point of reference. It was only during a recent interview with a local advertising magazine that I realised why it was so important to me to be able to provide that nurturing window of time for people with chronic illness or in recovery from cancer. As we sat in my treatment room at home, chatting about our passions in life and how blessed and grateful we feel when we can do what we love for a living, serving others and using our unique gifts, I had a sudden flashback to when I was in my early twenties. This distant memory resurfaced and suddenly I was transported back to my dad's beside as he lay at home in his final hours. He looked so frail and weak. He was in so much pain and there was no "end of life" pack there in those days to help him get any relief. I wanted to put my arms around him and hold him, but he suddenly seemed to look so small and weak, barely managing to draw breath in the shadow of his previous big strong body, I was frightened if I touched him I might hurt him, or damage him somehow. I wanted to give him some comfort and didn't know how. And of course, I never got chance again. It's really important to show people how much we care. When we feel loved and cared for, it helps us heal on levels far and beyond our physical self and touches our very souls. In this section, I'd like to share with you the experience of one of my closest friends as she talks about her cancer journey and how, with what might be considered an alternative approach, she tapped into the mind-body connect through visualisations to influence the outcome she wanted. This content will be added soon. In this section, I'll be sharing some thoughts on the importance of knowing why you are here.